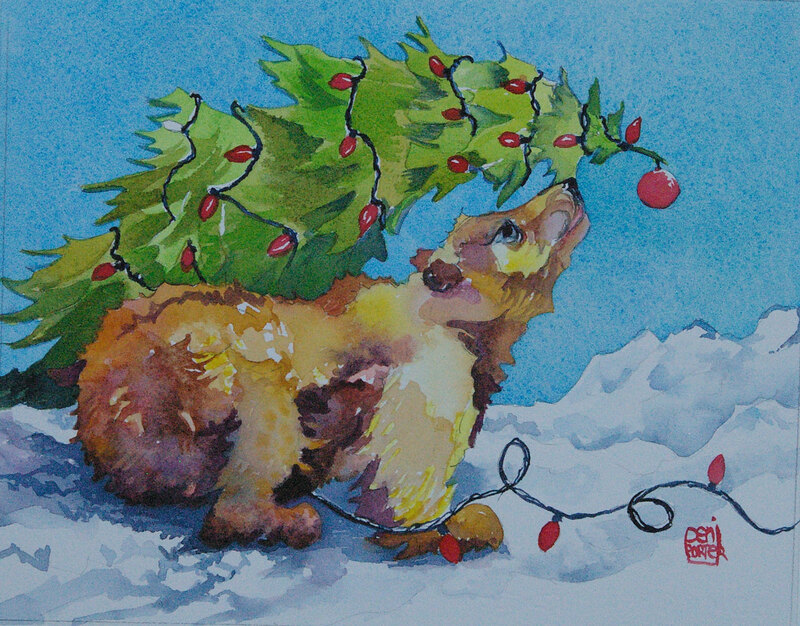 If all you want for Christmas is your two front teeth, then give the dentist a call! 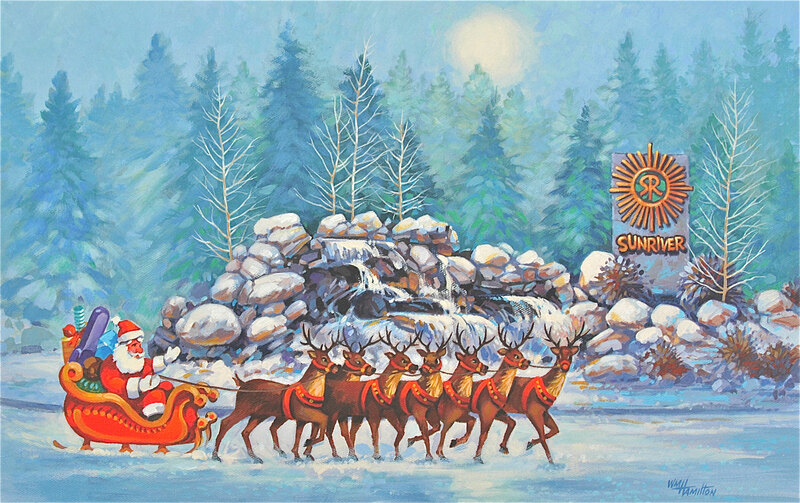 However, if all you want for Christmas is Art In Your Life!….have we got some surprises for you at the Artists’ Gallery Sunriver. 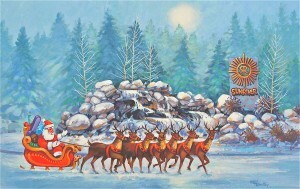 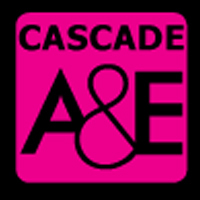 See you there on December 12 from 4 -6 PM for drinks and holiday treats. 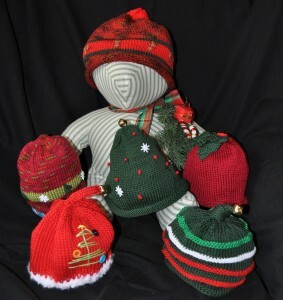 You and yours will be so darn cute wearing your Sweet Noggins Christmas edition hat for the season by fiber artist, Dorothy Sweet. 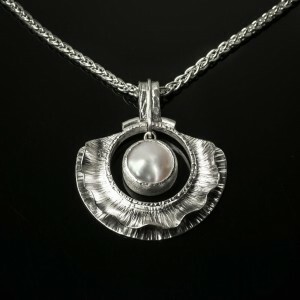 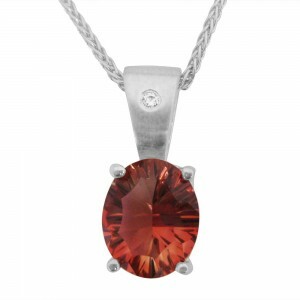 Or maybe your one big wish for Christmas Eve is a stunning hand worked pendant made by jewelry artist, Stella Rose Powell. 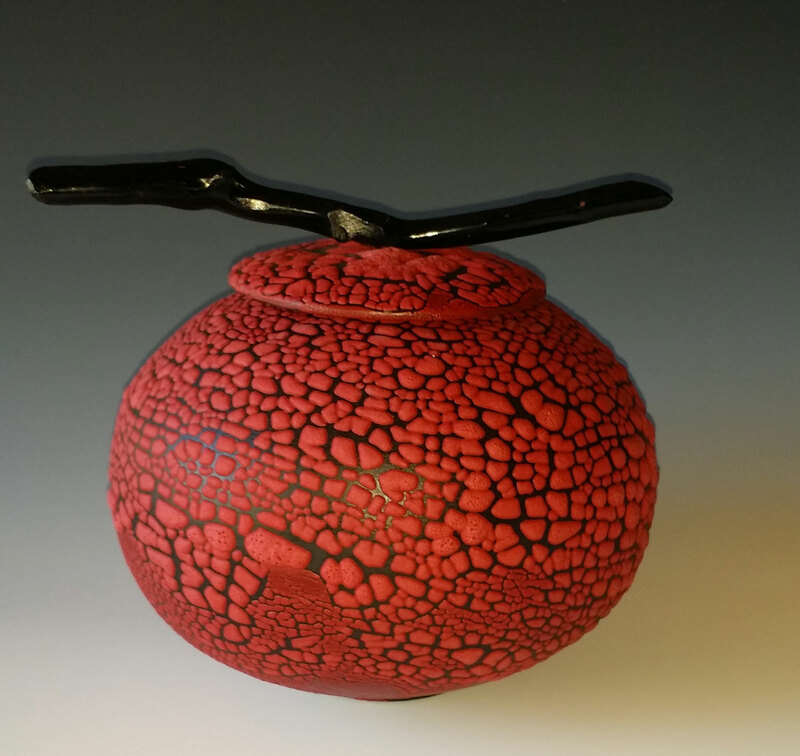 A red lidded vessel with dimensional glaze made especially for the season by Peter the Potter (Rousseau). 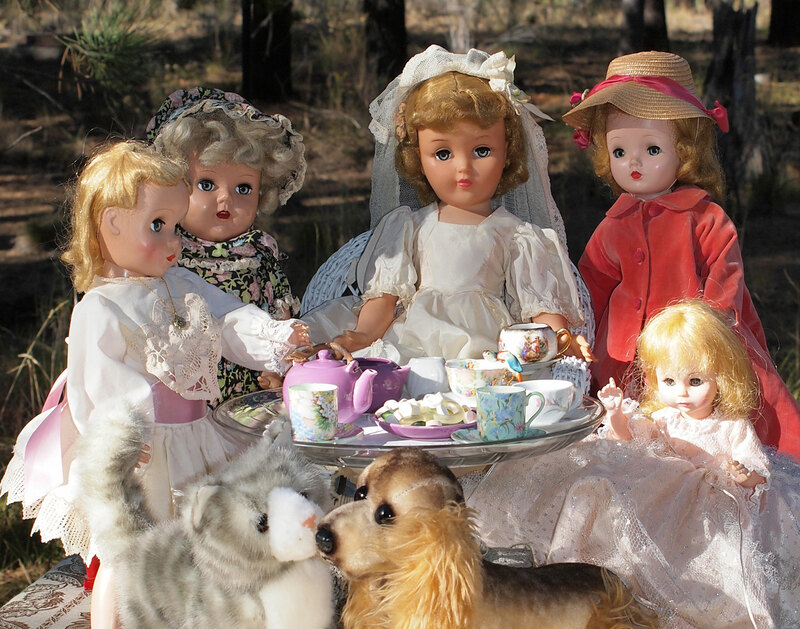 Photographer, Carolyn Waissman’s new photo series ,Tea Anyone? 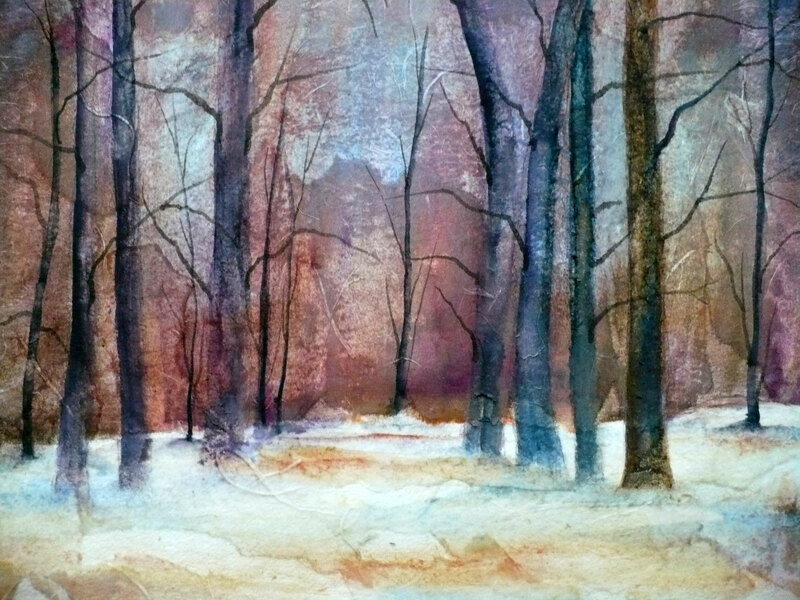 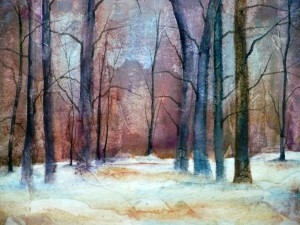 Walking in a Winter Wonderland , watercolor artist, Dottie Moniz’s beautiful snow scene. 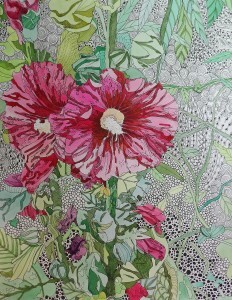 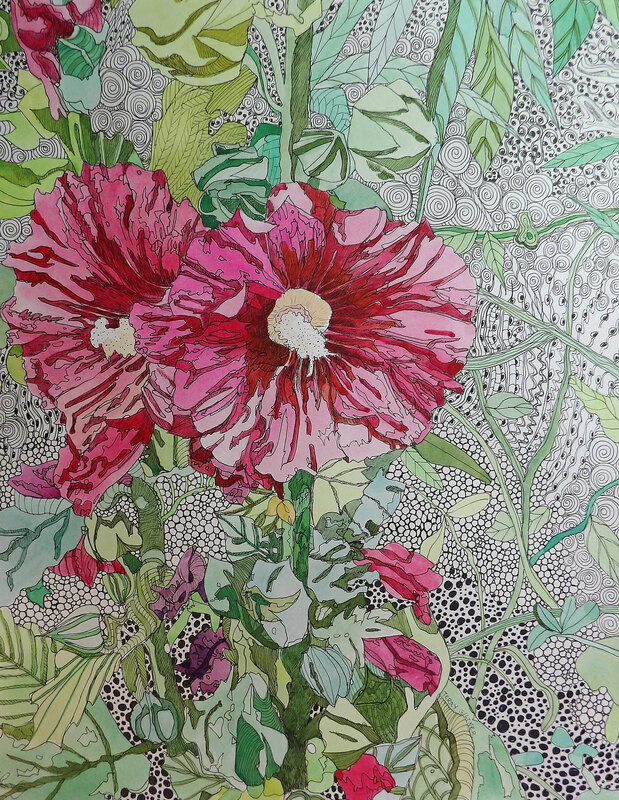 Hollyhocks by painter, Terry Giltner. 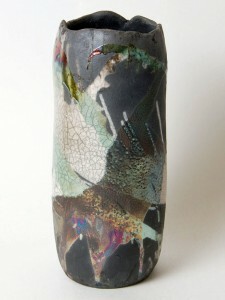 A beautiful Raku vessel made by potter, Diane Miyauchi. 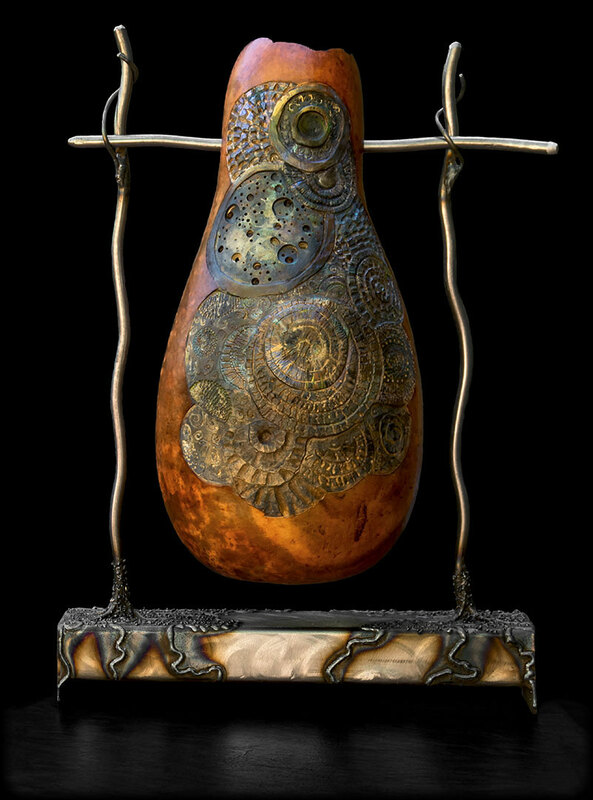 A unique carved gourd vessel mounted in an intricate metal stand by gourd artist, Susan Harkness Williams, perfect upon your Christmas mantel. 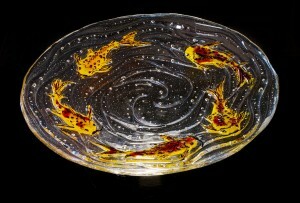 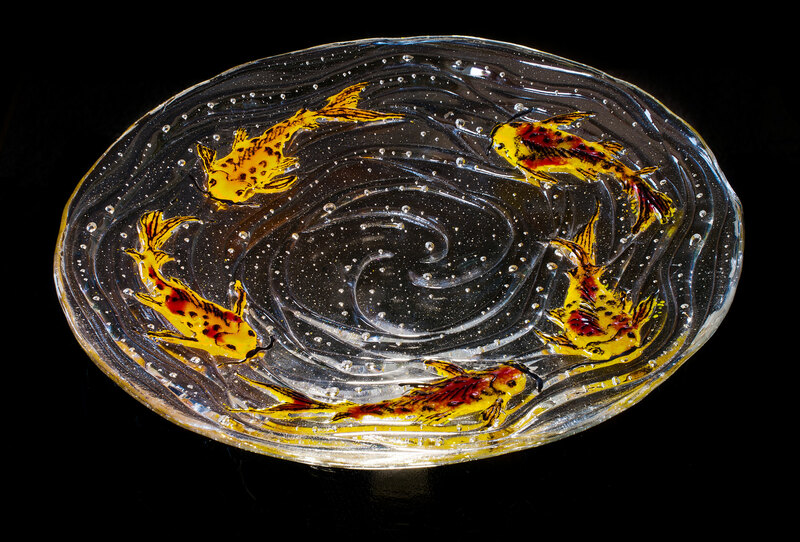 And wouldn’t an art glass platter by Marily Badger with swimming Koi reflect the firelight. 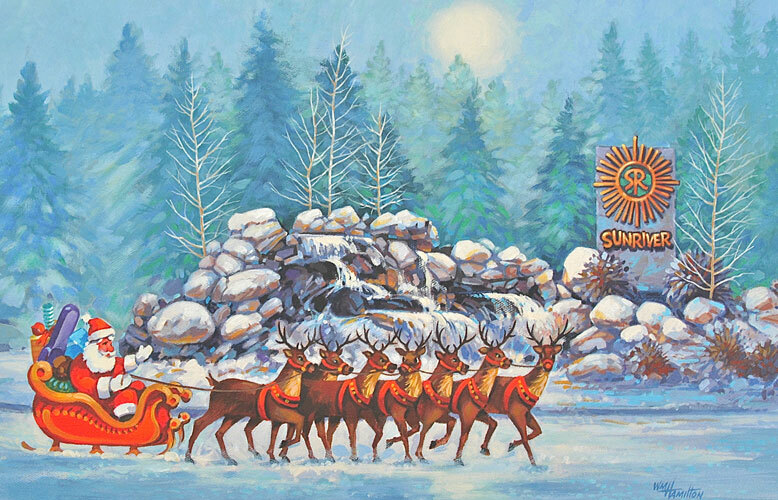 You may be dreaming of a quiet glide through a mountain lake, just like the Christmas red canoe depicted in the art of photographer, Richard Fredericks. 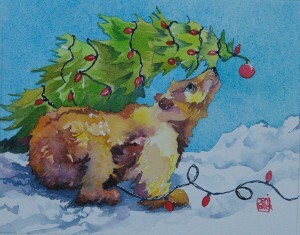 Maybe you will be decorating a tree as pretty as the one a bear is admiring in Christmas in the Forest by watercolor artist, Deni Porter. 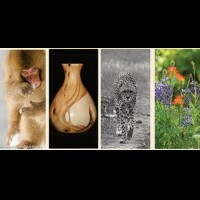 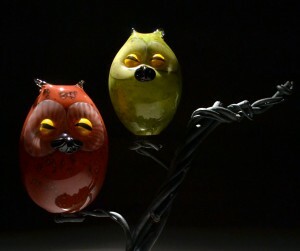 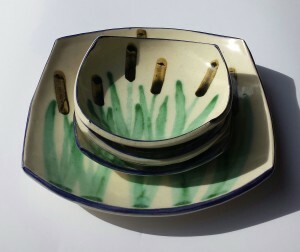 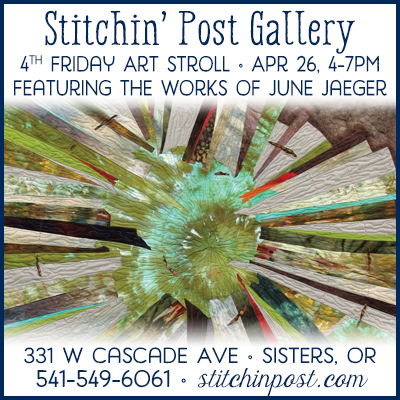 A cattail series by potter, Dori Kite….would make a wonderful gift! 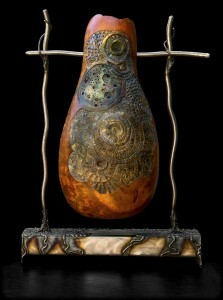 Bill Hamilton obviously documented a suspicious looking guy heading to the Artists’ Gallery Sunriver for the monthly Second Saturday celebration.